OSB Events has launched Outlaw X – a brand new Outlaw Half distance event to celebrate the 10th anniversary of the Outlaw Triathlon Series. 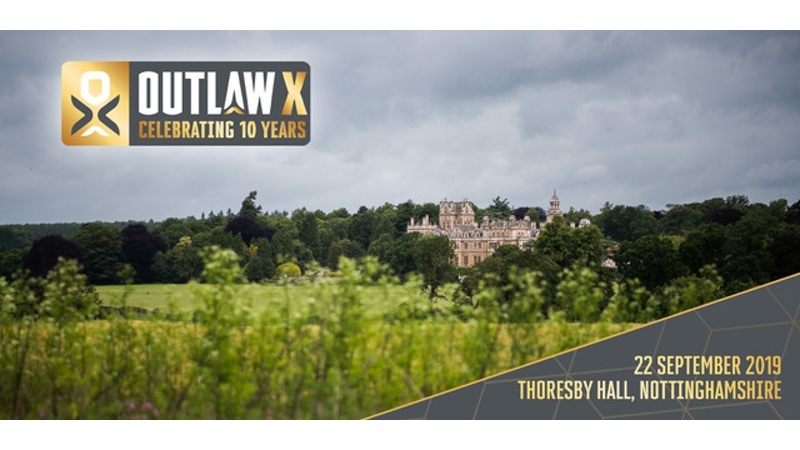 Outlaw X will take place at North Nottinghamshire’s Thoresby Hall on 22 September 2019. The event will provide triathletes with ‘an unmissable opportunity to finish the 2019 racing season on a high and celebrate 10 years of Outlaw’. With both Outlaw Half Nottingham and Outlaw Nottingham both sold out of general entries, demand for Outlaw X is expected to be high when entries open exclusively to everyone who has pre-registered on Thursday January 31. Following a 1.2 mile swim in Thoresby Lake, athletes will embark on a single-lap 56 mile ride through the North Nottinghamshire countryside before completing their journey with a 13.1 mile run through ‘1000 acres of unspoilt English countryside within the grounds of the historic Thoresby Hall’. The grounds feature various accommodation options including camping, as well as being close to Sherwood Forest sites. Athletes will be cheered across the finishing line in typical Outlaw style in front of the grade I listed 19th-century hall, and a special Outlaw X Awards Party will follow to reflect on 10 years of Outlaw. Outlaw X entries are opening on Thursday January 31 exclusively to everyone who pre-registers before midnight on Wednesday January 30. To pre-register for Outlaw X, athletes can visit the Outlaw Triathlon website outlawtriathlon.com/outlaw-x/overview/. As with other 2019 events, OSB Events is offering a payment plan for Outlaw X, enabling athletes to split the cost of entry across two instalments.